So, I recently became a crazy plant lady... they're inside, they're outside, they're everywhere! I started safe, with cacti and succulents, once I did ok with them, I moved on to houseplants. I've gotta say, I'm pretty proud of the one's I've kept alive thus far. 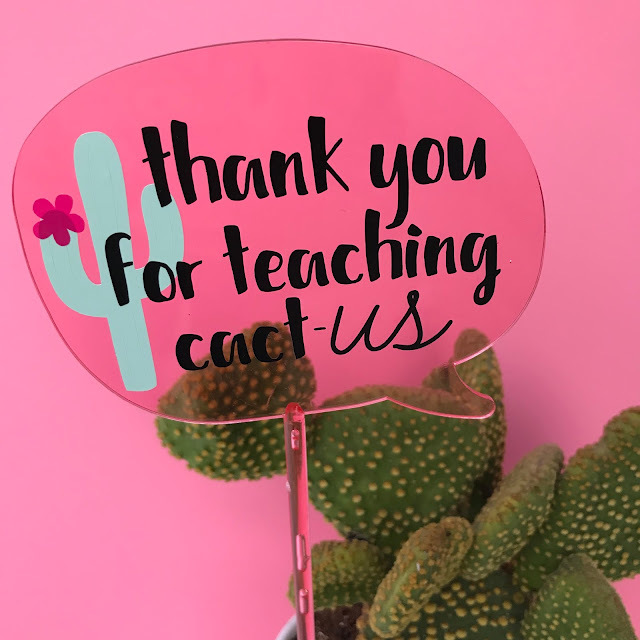 That all being said, gifting a plant isn't always the best gift choice (let's just say, I'm not ready for an orchid yet), but a cactus is pretty foolproof (and super trendy!) so thats how I came up with today's DIY! As we all know, the school year is coming to an end and summer is right around the corner (but don't you dare say the word swimsuit), and while I don't have any school aged children of my own, I still wanted to be a part of the Cricut End of the School Year project challenge put on by Angie from The Country Chic Cottage, my girl Carolina with 30 Minute Crafts, Jen with 100 Directions and Jessica with Mad in Crafts. I may not be a teacher myself but most of my friends are so I always love to see a good teacher gift, and I'm especially a sucker for one that is a play on words. BOOM! That's how this DIY was born... or, grown rather. I'm pretty obsessed with the way it turned out. I found the talk bubble plant stake in the Target dollar spot (and it was actually only a dollar! I swear I always grab the stuff that is 3 or 5, but not this!). 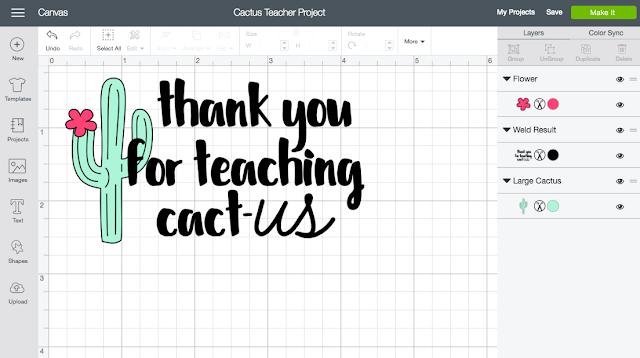 Then, aside from some vinyl and my Cricut Design Space file all you need is a planted cactus! I did the tough part for you and designed the file, all you have to do is click "Make It"! Once you've cut all three colors, use some transfer tape and attach them to your plant stake and just like that, you're done! 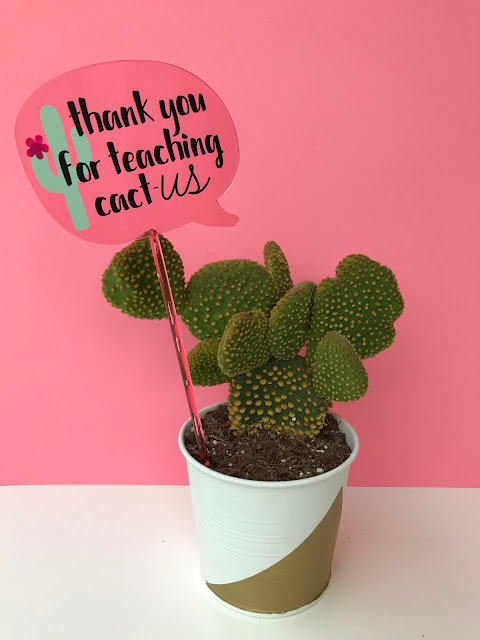 Such a fun and easy way to tell a teacher thanks! 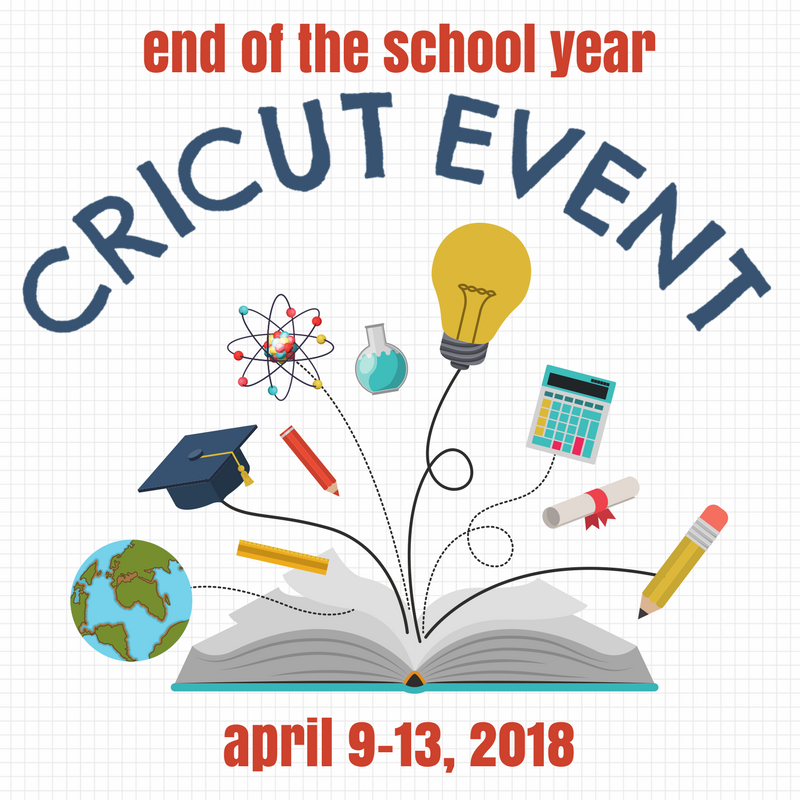 To open the Cricut Design Space file click HERE. 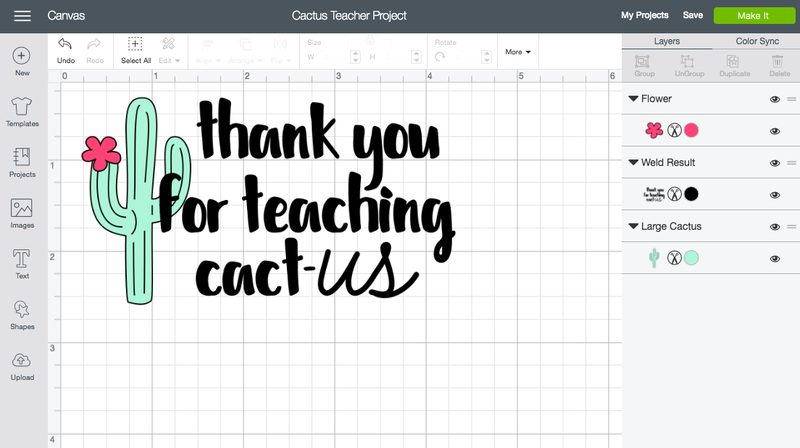 Be sure to check out the rest of the awesome Cricut End of the School Year projects!